Product prices and availability are accurate as of 2019-04-21 06:34:20 UTC and are subject to change. Any price and availability information displayed on http://www.amazon.com/ at the time of purchase will apply to the purchase of this product. KnuKonceptz has engineered a simple design with a vast number of installation options available to the installer. The Bassik Battery Terminal uses button head screws for a low profile to fasten ring terminals of all types and gauges onto your battery! Up to 5, yes 5! 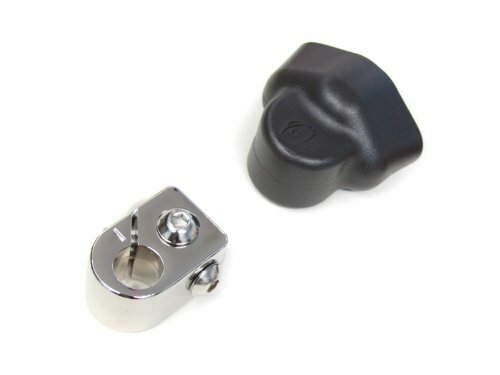 (even 1/0 gauge) ring terminals can be secured using the Bassik Battery Terminal. Prefer set screws terminals? 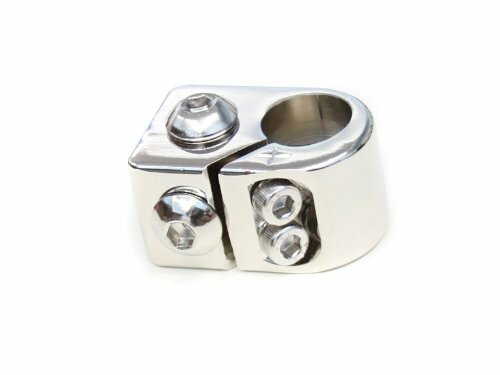 Three set screw ring terminals are easily accommodated. All these options are pleasantly hidden by the insulated color coded cover. To hold all that weight onto your battery post, KnuKonceptz has beefed up the fasteners that hold the BK-BT to your battery post. Dual cap screws are provided for additional clamping force. These screws are accessible even after the cover is in place, making installation or removal of the Bassik battery terminal simple with out making any changes to the rest of the terminal. We've saved the best for last! Installing battery terminals into your car often can be daunting task because the OEM battery terminal normally needs to be cut off. For a car that is leased, that could be a big issue. Problem solved! Using the Bassik Battery Terminal and our top post adapter TPA-POS(sold separately), you can now take your factory battery cable and mount it directly onto the BK-BT. Installation is simple, remove one of the side mounted pan head screws from the BK-BT(using the top mounted screw is OK too if you have clearance of the hood). 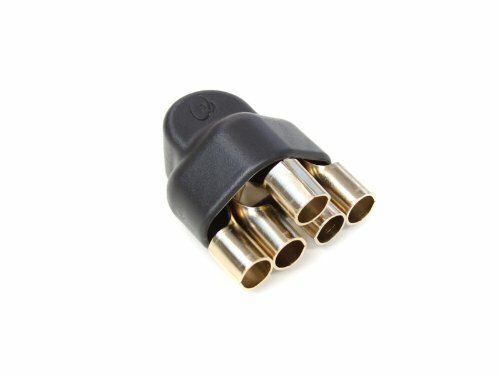 Install the optional top post adapter, place the factory (OEM) battery terminal onto the top post adapter and tighten all screws. **The insulated cover can not be used with the top post adapter with out modification to the cover. The BK-BT is made to SAE specifications, which means that the positive and negative terminals are machined to different diameters. This is a reverse polarity safety feature so that installers can not tighten a negative terminal onto a positive battery post and cause serious damaged to vehicle electronics.